If you want lusciously thick and long hair then you would have to do extra effort than you do almost regularly. Every woman wants healthy hair and she use different harmful products that lead to destroy and spoil her hair but she never gives up. The problem of thin and unhealthy hair makes so many people upset and undesired. In certain circumstances, hair tends to loss frequently. The most common causes are nutritional deficiencies, hormonal imbalance, stress, improper hairstyling, heating tools, harmful chemical products, genetics, and several other reasons. Massaging your scalp is necessary and this should be done regularly with the oil. Massaging helps your scalp’s blood circulation functions much better that will lead to the stimulation of hair growth. You just need to have only 5 minutes from your daily routine for doing massage. Massage can be done like rub your fingers on your scalp in the circular manner and apply some pressure. Take some amount of coconut oil and heat it for few seconds in a microwave so the dandruff will be removed. Put the hot oil in your hair and comb your hair to see that if there is breakage disturbing combing of hair. Wear a plastic cap and cover your hair or you can also use warm towel to cover up your hair completely around head. Leave it for at least half an hour before doing shampoo. Rosemary is a great herb for hair growth. Rosemary has antioxidant properties that boost your hair growth along with the presence of sulfur and silica contents prevent hair loss. In a bowl, mix two drops of rosemary oil in two tbsp of base oil like olive, coconut, almond etc. Apply gently over your hair and in the scalp then massage your scalp. Leave the oil in your hair for about half an hour then shampoo your hair. Omega-3 fatty acids and vitamin E are enriched in castor oil due to that it promotes hair growth faster. It helps in moisturizing your hair along with the addition of volume, reduces frizzing of hair and also helps in fighting scalp infections. Take some amount of castor oil and equal amount of base oil and mix in the bowl. Rub it on your scalp and massage thoroughly. Finally, rinse it off with the shampoo. As egg is made up of keratin protein thus it helps in promoting hair growth by reaching in the hair and provides protein to it. Take two eggs and whisk them in a bowl. Now add two tbsp of olive oil in it. Apply this mixture on your scalp and leave it for 15 minutes. Wash off your hair with cold water then shampoo as well. For taking care from hair loss, you should try coconut oil imparts with Indian gooseberry. It will also help with premature graying. Pour some coconut oil in a pan and cook dried pieces of Indian gooseberry (amla) in it until they are charred. Massage your hair with the warm oil then leave it for about 30 minutes. Rinse out your hair using the mild shampoo. Vitamin C and Vitamin B-complex are present in the greater amount in lemons along with the antioxidants that are useful for promoting hair growth. 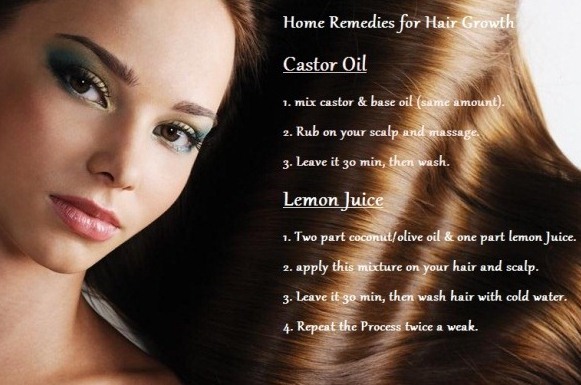 Lemon juice also leads to make your hair smooth, shiny, and dandruff free. Mix two parts of coconut or olive oil with one part of lemon juice. Apply the mixture on your hair and scalp then leave for 30 minutes. Wash it off with cold water then shampoo your hair using the mild one. Beetroot is a vegetable and its juice is enriched with many vitamins and other nutrients like vitamins B and C, calcium, iron, magnesium, potassium, carotenoids, protein, phosphorus and silica. These all essential nutrients help in faster hair growth. So it is better to drink beetroot juice regularly. Blend the beetroot juice along with the juice of cucumber and five carrots. Strain the juice and drink it. You can drink alfalfa juice too because it is also helpful for hair growth and rich in vitamins A and B-complex, and E.
Fenugreek is considered to be a good ingredient for hair growth due to its protein richness content. It also has lecithin that helps in strengthens and moisturizing the hair. Take a cup full of fenugreek and soak it in water overnight. Take them out of the water and grind them like a smooth paste. Apply coconut oil on your hair and set aside for an hour. After that shampoo your hair. Follow the remedy three times a week. Omega-3 fatty acids are present in fish oils in a higher amount that help not only in hair growth but also make it shiny and smooth. Take fish oil supplements daily for probably one month. If you do not like the smell of fish oil then consider to take the flaxseed oil. You can also add flax seeds in your diet routine. Coconut milk is greatly beneficial for hair growth because it contains vitamins B, C, and E along with the calcium, magnesium, iron, phosphorus, selenium, and various other nutrients. 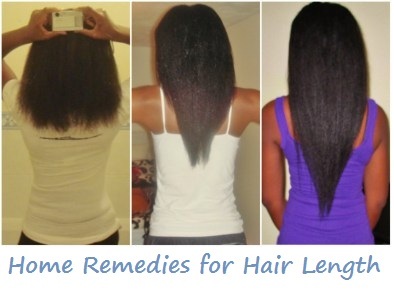 These all are supposed to nourish your hair and make them ready to grow and protect from hair loss. Coconut milk remedy is simple. You would have to take in fresh coconut milk in your diet routine. These all remedies help to make your hair growth fast, but if have less hair on your head and you want to grow your hair again then you need to see our 2 methods (herbal and natural) for Regrow hair. Worth complete nice piece of info…. I need to incorporate a few focuses from evaluation report of John Kelby where he is tolerating the actuality associated with unevenness Harmon, medicines and environment as reasons to be uncovered. So it suggests both, outer and internal components are just as critical to reinforce fur. Generally, your post is truly useful. Continue imparting.